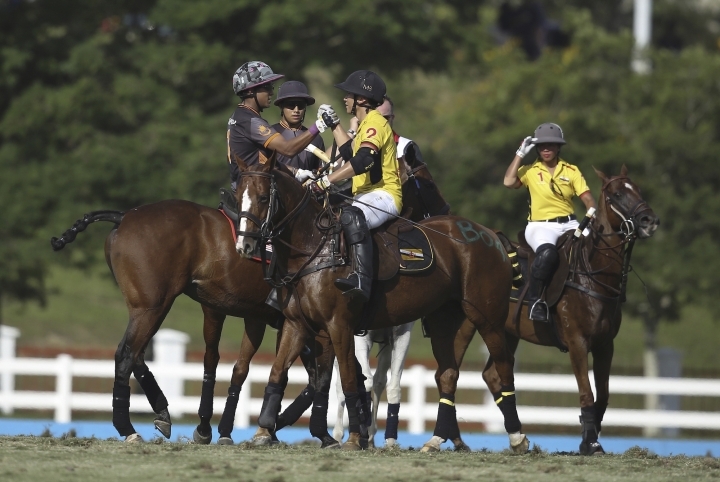 KUALA LUMPUR, Malaysia — Malaysia's polo team may be jousting for domestic supremacy after being challenged by a Sultan on the sidelines of the Southeast Asian Games. The polo squad, which includes Youth and Sports Minister Khairy Jamaluddin, has beaten Singapore 13-2 and Brunei 12-3 to open the SEA Games competition which Malaysia is hosting. The 41-year-old Khairy, juggling his duties as chairman of the games organizing committee, is the first Southeast Asian minister to compete at the biennial event. But Khairy's selection for the games had earlier been questioned by the crown prince of southern Johor state, Prince Ismail Idris. After Malaysia's second victory on Thursday, Johor state ruler Sultan Ibrahim Iskandar accused Khairy of ordering a player to fake injury so that he could join the match against Singapore at the last minute for publicity. 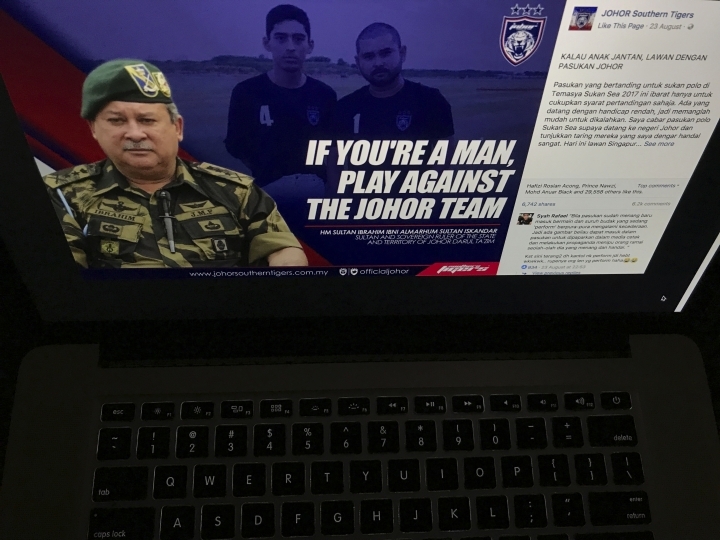 The sultan, 58, issued a statement on the Facebook page of a Johor team, the Southern Tigers, in a post titled "If you're a man, play against the Johor team." To measure the Malaysian squad's real strength, Sultan Ibrahim said they must play against the team from Johor, where polo was first introduced in 1884. The sultan said his two sons, both skilled players, are prepared to take on the Malaysian team and that he may join, too. Sultan Ibrahim said he has played in the World Cup before and the ongoing regional games were "almost insignificant in comparison." "I challenge the SEA Games polo team to come to Johor and show your fangs since the news of your greatness supersedes you," the sultan wrote, specifically extending the invitation to Khairy in his posting. "I will send two of my sons and two of our horse trainers or perhaps myself, as I believe I still have what it takes. Should my team lose, I will admit that the SEA Games team are represented by the best there is." An aide to Khairy told The Associated Press that the minister is "unavailable" for comment. The sultan's post comes a month after his son, Prince Ismail Idris, was critical of Khairy selection to the national team. The prince, who is himself a skilled polo player, has questioned Khairy's competence and described him as an opportunist who wanted to use sports to boost his popularity. The prince has also challenged Khairy to a match to determine who is more qualified to represent the country. It was brushed off by Khairy and by the national polo team, which defended the minister's competitive experience, fitness, and discipline. The Malaysian polo squad will face Thailand on Saturday.